Sometimes there are these surprises when you're going through a stack of records. 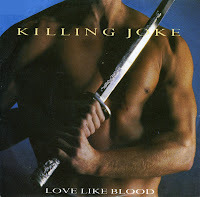 And finding this 12" single of Killing Joke's 'Love like blood' is a good example. I found this and for a moment I couldn't believe this disc actually contained a 'version' of the song. It isn't that strange in itself, since the single was released in the Eighties, but somehow I never thought there would be an extended version of this excellent track. Don't know why. As it turns out, this extended version is excellent. A worthy addition to my collection. 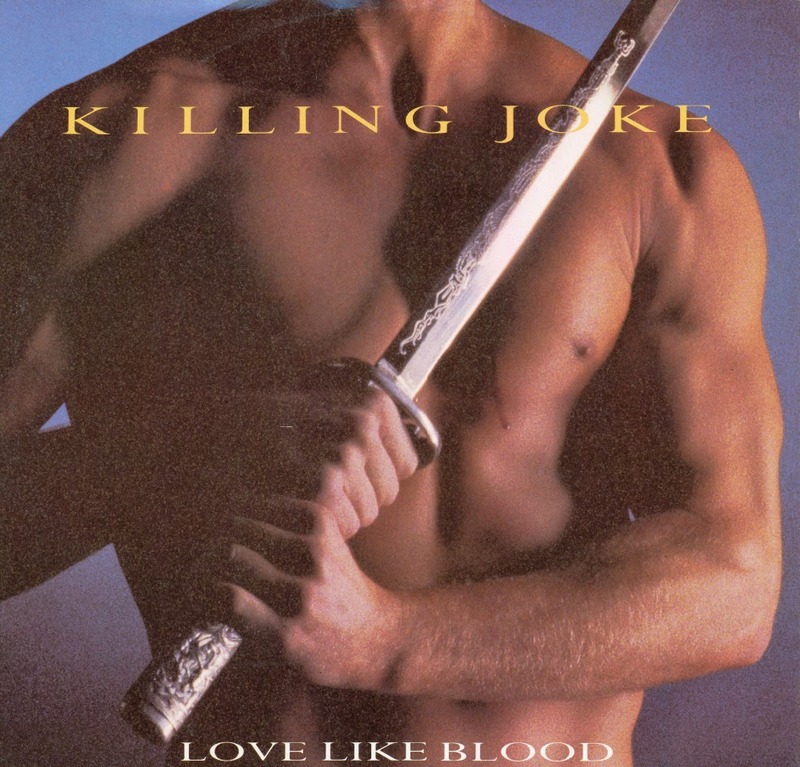 Having been at it for seven years, the English post-punk rock band Killing Joke achieved mainstream success with their 1985 single 'Love like blood'. It peaked at number 18 in the UK and number 6 in the Netherlands. Killing Joke consisted of Paul Ferguson, Jeremy Coleman, Kevin Walker and Paul Raven at the time. Two years prior to that, Martin Glover, a.k.a. 'Youth' had left the band. He went on, of course, to become a famous producer.